Yokogawa Electric Corporation (TOKYO: 6841) announces that it has enhanced the Field Assistant software for the field inspections of industrial facilities and is releasing it today as Field Assistant R2.03. Field Assistant is a solution in Yokogawa's OpreX™ Operational Risk Management family. When installed on tablet devices, this software enables users in the field to access checklists, manuals, and many other kinds of documents, thus enhancing the quality and efficiency of routine patrols of manufacturing sites. 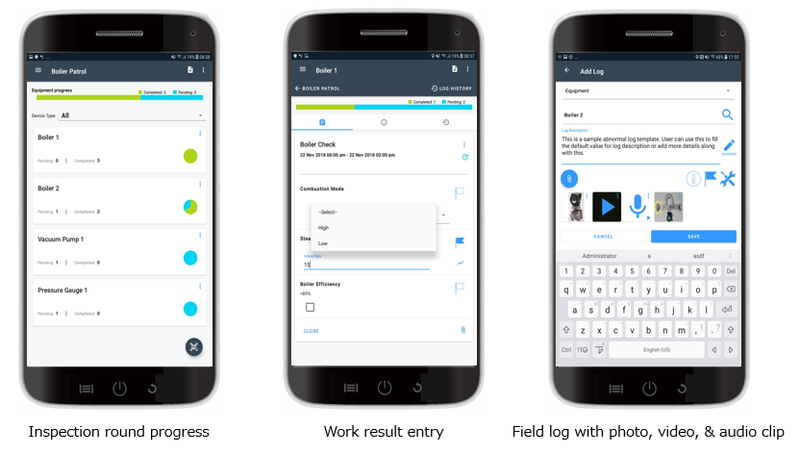 With the release of Field Assistant R2.03, this software can now run on smartphones, and also features improved operability with a renovated human-machine interface (HMI). At many industrial plants, personnel periodically perform field inspections by patrolling along defined routes and checking field instruments at specific points along the way, to keep facilities and equipment safe and in good working order. Inspection results are often manually recorded on printed checklists and submitted for review. 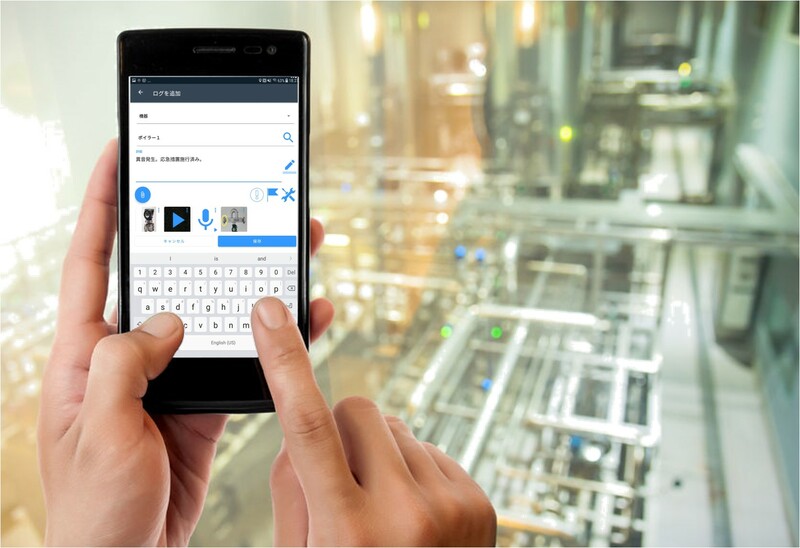 To reduce the recording workload, prevent entry errors, and facilitate the sharing of results, many of our customers indicated that it would be desirable to be able to directly input these results on a tablet or some other kind of mobile device. In response to this customer need, Yokogawa developed the original version of Field Assistant, which enabled inspectors to input inspection results on a tablet. With the release of Field Assistant R2.03, this software is now compatible for use on smartphones and the HMI has been enhanced to make it easier and more intuitive to use. In addition to facilitating the recording of inspection checklists, the Field Assistant software can initiate the download of related documents to the mobile device, which inspectors can then refer to whenever needed. For increased efficiency in management of operations, the data in Field Assistant can be linked with data that is recorded and managed using the Operations Management software package. With Field Assistant R2.03, this software has been updated to run not only on tablets, but also on any smartphone that runs Google's Android™ operating system. Customers can select whichever device is most suitable for their purposes. Via the HMI, users can access both digital checklists of inspection items and related documents such as operating manuals, specifications, and installation manuals. With R2.03, this interface has been enhanced with the use of large UI components (created with Google's Material Design) to display frequently used information, the display of bar graphs and pie charts to make the visual checking of work progress more intuitive, and a screen layout that has been optimized for single-handed (thumb-based) use. R2.03 also includes functions for recording audio and freehand drawing on images, and Japanese is now supported as a user interface language, in addition to English. An automatic reporting function has also been added to Field Assistant R2.03. After work records are input in the field, this function can automatically email them to management personnel. This eliminates the need for the preparation of reports, and allows personnel to immediately check progress. OpreX is the comprehensive brand for Yokogawa's industrial automation (IA) and control business. The OpreX name stands for excellence in the technologies and solutions that Yokogawa cultivates through the co-creation of value with its customers, and encompasses the entire range of Yokogawa's IA products, services, and solutions. This brand comprises the following five categories: OpreX Transformation, OpreX Control, OpreX Measurement, OpreX Execution, and OpreX Lifecycle. Field Assistance, an OpreX Operational Risk Management family solution in the OpreX Transformation category, delivers operational excellence throughout an enterprise's activities, from production through to supply chain optimization and risk and business management. The names of corporations, organizations, products, services and logos herein are either registered trademarks or trademarks of Yokogawa Electric Corporation or their respective holders.